SDA SHS receiving their award. 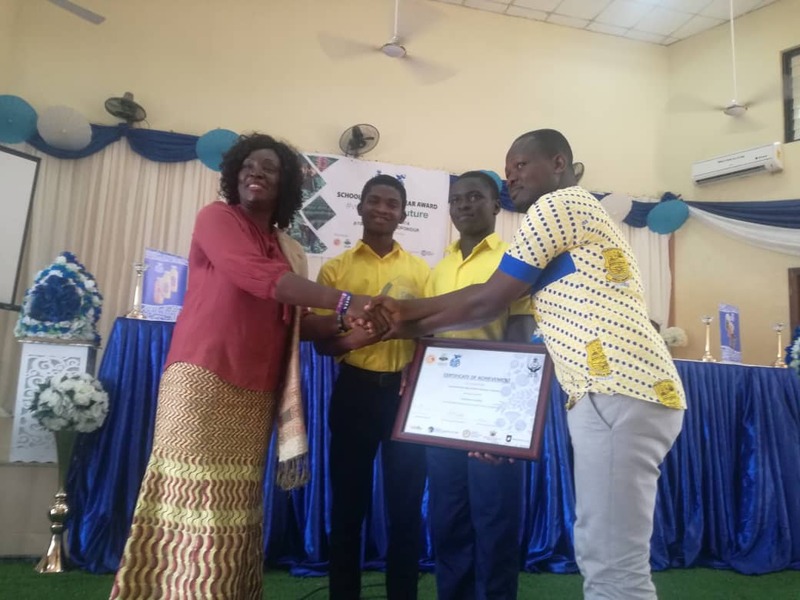 The Asokore SDA Senior High School at Koforidua in the Eastern Region, has received an award for emerging as the Best School Farm of the Year 2018. 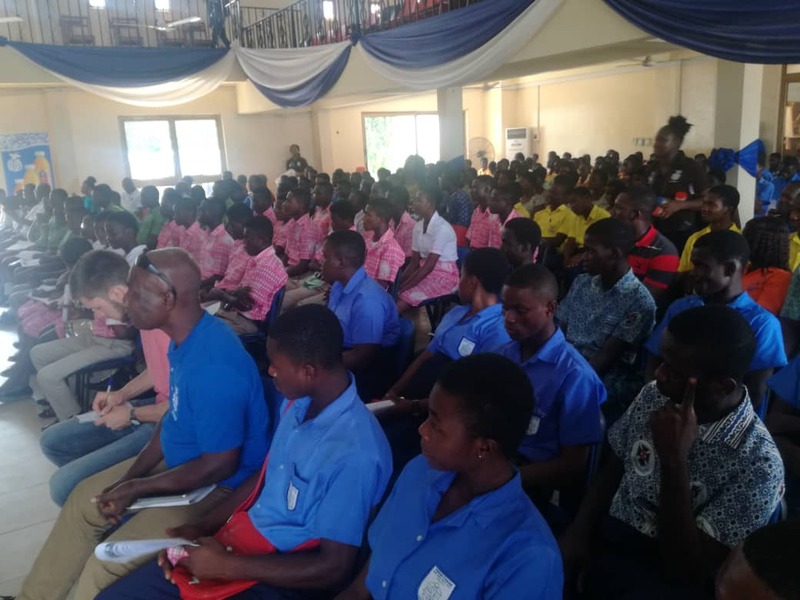 The award ceremony, which was organized for both Junior High and Senior High Schools in five regions by the Blue Skies Foundation in collaboration with the Ghana Education Service as part of their agribusiness project and social corporate responsibility, is intended to reinvigorate the interest of the youth in agriculture. After a splendid presentation of activities they undertook right from preparation of the farm land, planting, application of fertilizer, cultivation to marketing, the SDA Senior High School took the top position beating stiff competition from 32 other schools in the country. In an interview with Citi News after the presentation of awards and certificates, the Head of Corporate Affairs at Blue Skies Company Limited, Alistair Djimatey, who was satisfied with the outcome said the program will be extended to other regions. “We have a foundation that constructs schools for deprived communities in the country and in the past 10 years we have built a total of 22 schools in the country and as part of our activities, we also conducted some research 7 years ago after going to the schools and realizing that majority of the kids want white-collar jobs and none of them wanted to be a farmer. It was a major concern so we thought and decided to organize this communication to reduce the high wishes for white-collar jobs using the available things around us”. “…So we piloted this project within some 12 schools in the Nsawam Adoagyiri Municipality, then we moved on to 32 schools within the region, and we thought it wise to champion it across board, so we moved into 5 other regions where we again want to migrate it in the shortest possible time to all the 10 regions in the country, and the basic idea is to provide a platform for these young ones to know the opportunity that agriculture provides”, he added. Alistair Djimatey also indicated that government should consider calling the Agric Ministry, Ministry of agribusiness to help the evolving trend of modern agriculture. “I have made a passionate appeal that maybe it will be more prudent to have a Ministry of Agribusiness instead of Ministry of Agriculture because now it goes beyond just operations of farming, but now there’s a whole value chain associated with it and we need to stir the Ghanaian mind so that our ideas will not only be about sitting in a square room office and working, but move to the field and cultivate something for all”. Pope John Senior High and Minor Seminary took the second position and took away 3 desktop computers, certificates, a plaque and irrigation kits. Participants of Pope John SHS & Jnr. Sem taking their award package. 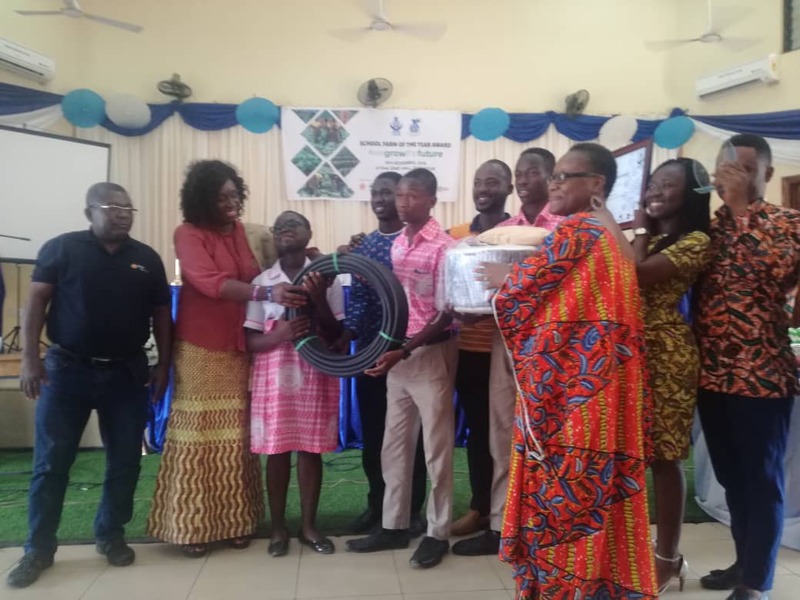 Aburi Sectech also took the third position taking away 2 desktop computers, certificates, a plaque and irrigation kits. For the Junior High school category, Chinto M/A Basic school emerged winners, taking home 4 desktop computers and irrigation kits, Koforidua Church of Christ school took the second position taking home 3 desktop computers and irrigation kits, and Ankwa Dobro basic school came third taking home 2 desktop computers and irrigation kits. Some students from the participating schools. 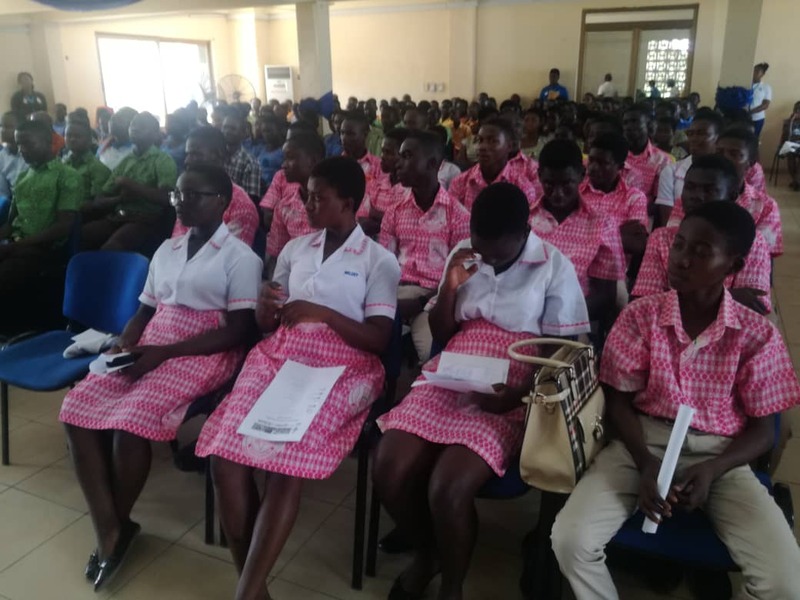 Master Dunya sally of Manya Krobo SHS and Emmanuel Agbeleka of Chinto M/A, were adjudged Best teachers for Senior high and Junior High schools respectively. They both received certificates, laptops and plaques. They’re also to travel to the United Kingdom for a 10-week training program at a college in the UK.